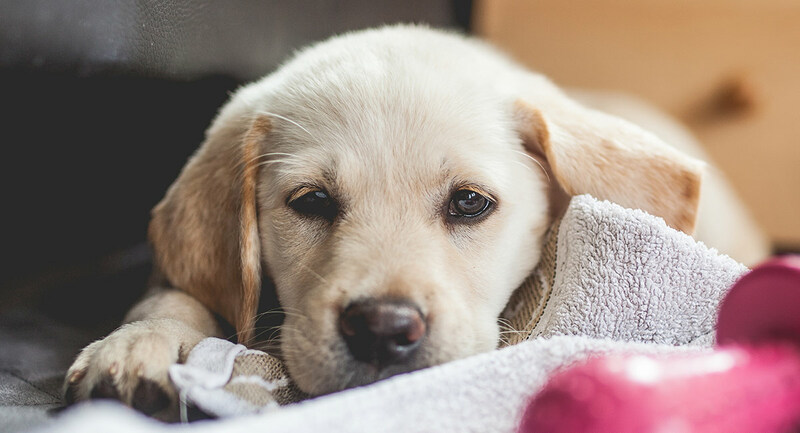 →Why You Need to Know Everything About the Labrador Golden Retriever Mix? 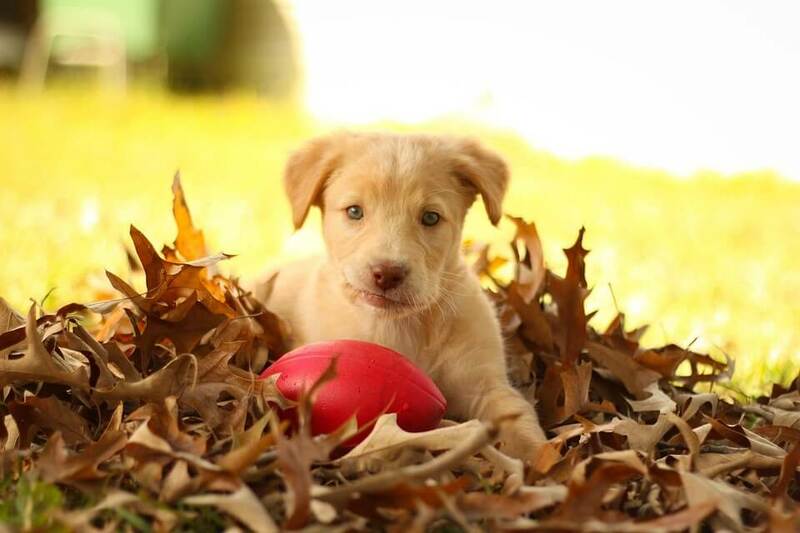 The Labrador Golden Retriever mix, best known as the Goldador, is one of the cutest cross breeds ever. Specific controversies are lurking around the topic. Some feel that it’s best to keep specific breed “pure.” On the other hand, some people think cross-breeding actually creates a healthier breed that can cope with probable health issues. Well, the truth is, both sides are somewhat correct. There are specific facts to back them up. However, in this case, I will share thoughts on whether you should go for them or not. But for now, let’s learn a few things more about this wonderful breed. Let’s see how adorable these little fluff balls can be. As I said earlier Goldador is a mixed breed dog, coming from two loving parents; one is the Golden Retriever, and the other is Labrador Retriever. Both are pure breeds in this case. Goldador is one of the perfect family dogs you can find as of now. Maybe you love a working dog, not to worry, Goldador has you covered. The breed shows similar traits like its parents. Both Labs and Goldens show Excellency regarding therapy, hunting, and service work. You’ll find many Goldador being a guide dog for blind animals. But first, let’s take a look at their history. Like how did they came to be? Before we move on the origin, you’ll have to know the backstory behind the parents. This breed comes from Scotland and England. There these retrievers were needed as a companion while bird hunting. 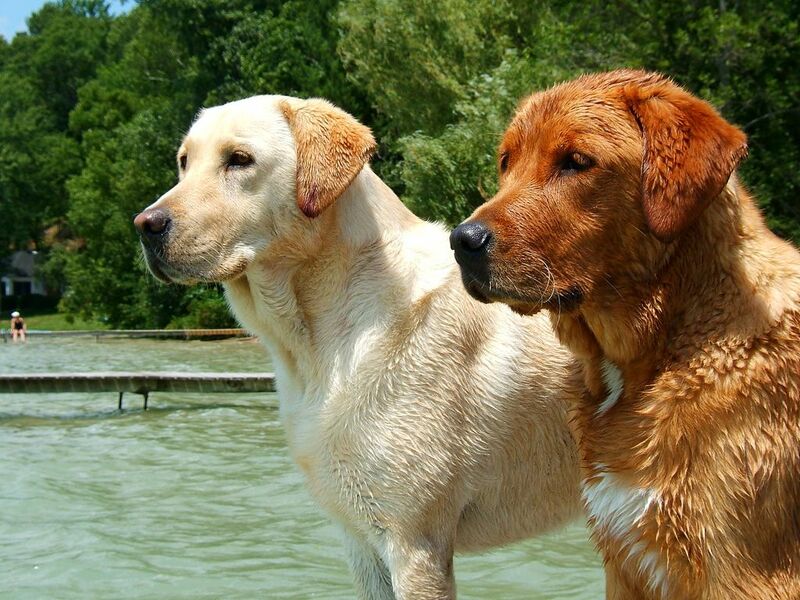 These dogs can be an excellent companion and can work exceptionally well in both land and water. They go way back in the 1800s. However, it was officially recognized by the American Kennel Club (AKC) in 1925. Even though they are excellent in hunting sessions, they also have quite the reputation for acting as a service dog. They also show impressive skills in field trips and obedience classes. These are also popular as a movie star and often used as the family pet. Well, why not? Goldens are excellent with kids. This breed was first discovered in Canada. In Newfoundland, they used to breed small water-fowl hunting dogs with Newfoundlands. The development of these mating sessions finally gave birth to Labradors. This dog was announced as a sporting breed by the AKC in 1917. They share similar traits like Goldens. Labs are excellent hunting dogs, and they also work as a rescue dog and service dog. These dogs are actually really popular as a family pet in the United States. Sadly, I couldn’t find a viable source for the exact time zone of the origin. However, it’s prominent that these dogs have been around for a long time now. The gamekeepers having these dogs must have accidentally mated them or intentionally mated them to create the breed. But I can say this for sure that these two were mated in a breeding program a few years ago, to create this service dog. These are popular not only among pet owners but also in the service dog program. You would be pleased to know that these dogs are one of the best ones (among guide dogs) so far. Well, it’s quite tough actually to predict the temperament of this hybrid dog. It’s because mixed breeds dogs don’t always have the same traits as their parents. So, I can conclude that not every Goldador puppy will show the same nature. Thus, I am going to make an educated guess about the temperament. You could be dealing with more or less the same thing. Why? Because one puppy can be lost to Goldens and another close to Labs. They can also be in between have best of both worlds. But as both the parent have similarities in their behaviors I can assume some points to help you out here. The Goldador will show a keen interest in retrieving and will be playful and a humble companion. Remember both their parents are super active, so they will grow up to be one as well. If you are a couch potato kind of person, then Goldadors are not for you. These dogs are highly social. So, if you don’t have time to play with them or keep them company, then they might become destructive. It’s not their fault. They do it out of depression or anxiety. So, be sure to keep it company for a needed amount of time. Just with simple love interactions, you will be able to keep them happy and playful. They will follow new scents, play fetch with you, chew on their toys and snuggle with you every time it gets. If you have a family, then they can be one of the best family dogs. Another thing to add here, a Goldador puppy might have similar traits like Labs, which includes over-excitement. Labs don’t know what a stranger is and will be super excited to meet anyone. So, a Goldador might show similar persona as well. Give them an obedience training, this way they won’t jump on the next person on the streets. Are you ready to take care of a medium to large size dog? Goldadors are actually from the big dog group. They can go up to 80 pounds. Males are heavier than females. Moreover, Females, on the other hand, can mature to be about 70 pounds. They can be tall as 24.5 inches, needless to say; males are taller in this case. Female dogs can go up to 23 inches, pretty close to the male’s height. However, don’t be intimidated by their size. Even though they are quite large, they have a soft heart and a playful nature. On the other hand, if you are looking for a small sized dog, then Goldadors is not for you. Goldador can go both ways. They can come out as a close resemblance to a Labrador or a Golden. I’ve seen puppies having colors like black, chocolate, yellow, just like Labs. Puppies similar to Goldens will show a slight goldish shade in their coat. We all know Golden Retrievers have long coats, but in this case, the Goldadors don’t necessarily inherit this type of coat. They always have the Lab’s goat, which is double thick. Double coat means that there is a rough coat in the top of an undercoat. However, they may or may not inherit the Goldens longer length and silky smooth texture. But they don’t have as much as feathering like Golden Retrievers. For this, they would need a weekly brushing session, which should increase during the shedding season. What Kind of Health Issues Do They Have? As they are a mixed breed, they are exposed to few health conditions that both the parents suffer from. This adds up to the common canine health issues such as eye diseases, skin irritations, hip dysplasia, and allergies. The parents both suffer from elbow dysplasia and hip dysplasia. They also have progressive retinal atrophy. Not to mention the fact that, Goldens tend to carry the cancer gene with them. Every year many Goldens die for this disease. So, if you want to buy a Goldador from a breeder then make sure you test their parents beforehand. If they have a genetical issue, then you would be able to prepare for it from the beginning. Also, ensure that they are not suffering from other common health issues. As both, the parents suffer from hip problems you would need to keep your puppy’s weight in check. Don’t even let it be overweight. It’s imperative that you give it nutritional food and keep it balanced. Goldadors are prone to weight gain, and too much weight will be bad for their hip joints. To keep it in shape you will need to walk your beloved pet every day. You can also try other exercises along with it to make him even fitter. This way they will have a fit muscle structure and get a healthier and longer life. You can try going on a family adventure like hikes, swimming or runs to keep it company and healthy. Hybrid dogs mainly live as much as their parents live. Both the parents have an average life expectancy of 10-12 years. So, you can expect your pup to live that long at least. Can I Buy the Golden Retriever Labrador Mix? Goldador is a famous hybrid dog. So, you won’t have to work extra hard to find them. As I mentioned earlier, there are official programs to breed them. The pricing would vary greatly from seller to seller as it solely depends on their terms. Before buying from such breeder, check out if they are experienced or not. Experienced ones will know to do tests before breeding the parents to get a healthy puppy. That being said, these puppies could cost you $500-$1000 at most. Want to adopt a rescue dog? Don’t worry; you will be able to find breeders their too. There are specific animal shelters geared towards this breeding, and they have rescue Labrador or Goldens to breed. You can always find Goldadors up for adoption if you are lucky. Well, they are not a rare breed, so hoping for such things isn’t pointless. However, it can be a little hard because most of the rescue dogs can come from puppy mills. Are There Any Bad Outcomes? Well, to be frank, there are some dishonest breeders out there who just breed this dog to make extra cash. This an animal cruelty and it should be stopped right away. Breeders often don’t take responsibility for the Goldador puppies and tend to make them more prone to illness. You will have to avoid puppy mills to get your hands on them because they might or might not be the ideal case. Another fact is that they are super active dogs. So, you need to know for sure whether you have the time and dedication to maintain them. If you are away for long hours and the dog has to stay home alone, it will feel anxiety. Also, if you are not an active person, then it’s best to avoid these breeds altogether. They will require exercising and slacking off here would only harm them. The benefits of getting any dog are huge. On the other hand, Goldadors are known for their playful and happy nature. They bond with their owners on a deep level and loves to snuggle with you every day. Who wouldn’t love these cute balls of fluffiness? Another plus point is that among all other crossbreeds Goldadors have the lowest level of health issues. So, you can expect a good amount of life expectancy from them. They are also prone to learning new tricks and are extremely easy to train. Is the Goldador Right for You? There’s no better way of saying this, but Goldadors are really a great option as a family pet. But you need to remember some facts before you make the last call. They are somewhat a large breed. So, they will quickly outgrow any small space and would require a bigger place to be comfortable. Open floors are more suited to their style. That’s why if small sized dogs are your favorites then Goldador is not for you. Another fact is that they have overexcitement issues. This issue may be too much for some people, but remember you can train them to behave well. Also, you shouldn’t go for it unless you have spare time. If you are workaholic and have to stay overnight, then these are not for you. You will only worsen the situation this way. The best way would be to have a flexible schedule or a family who can look after the dog when you are away. I hope now you can decide whether Goldadors are for you not. Goldadors are one heck of a companion and will love you to death. The love you will get from them is priceless. I hope this article helped you out on your quest. However, if you liked this article and want content like this as academic writing, you can check out Brainybro. They provide high-class essay writing services on any niche and will give you a fast delivery. So, if you are stuck with your academic writing, you should definitely check them out!